This is a quick installation guide of PostgreSQL on Windows. PostgreSQL and MySQL are two of the database systems that I used for program development at home. I usually run the database servers on either FreeBSD or Linux. 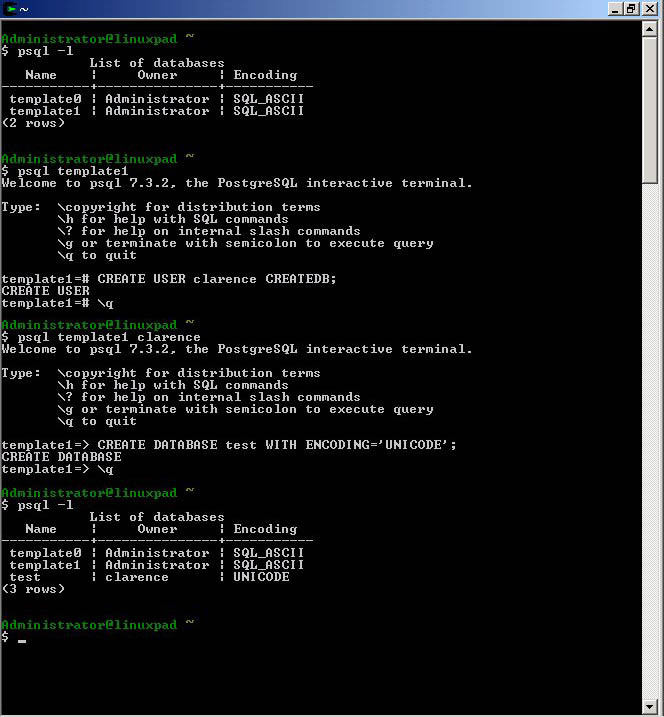 Recently, a project idea came up and I decided to try PostgreSQL on Windows. "PostgreSQL is the most advanced open source database server." -- PostgreSQL: Introduction and Concepts by Bruce Momjian. 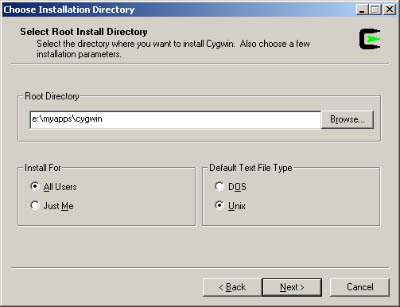 We can choose to install the PostgreSQL together with Cygwin. The setup program needs to download packages before installing. Specify a directory to store these packages. Select the connection method. Then pick a mirror site to download the packages. Select the packages that you wants. Remember to select the PostgreSQL package under the Database category. Proceed with the download and install process. If the setup program doesn't install the packages after download, you can execute the setup.exe again. 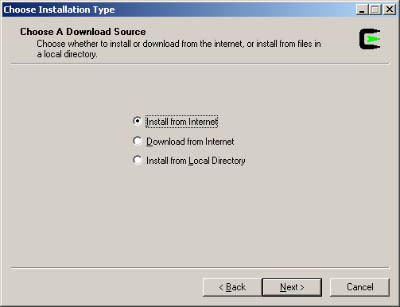 This time, select "Install from local directory". 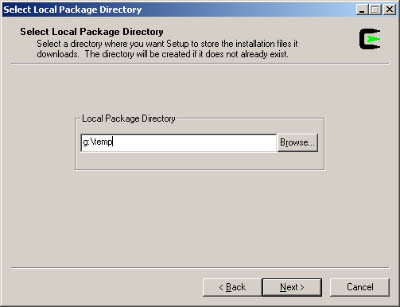 Then select the director where the packages are downloaded. Proceed to install the packages. PostgreSQL depends on an utility package called cygipc. It provides IPC (shared memory, semaphores etc) functions. Extract files from the package. Check the availability of the ipc daemon installed. Then execute the daemon in background. Before we can start the PostgreSQL server, we need to initialize a database storage area on disk. Create the directory /usr/local/pgsql/data for storing PostgreSQL data. Now we can start the server. Note that we need to use the -i option so that the server will listen to TCP connections. Otherwise, it just listens on Unix sockets. We first create a new user clarence and grant it the right to create databases. Then using this user account, we create a database with Unicode encoding. CREATE DATABASE test WITH ENCODING='UNICODE';: Create a new database test with Unicode encoding. There is no special trick for using PostgreSQL with JDBC. To install PL/pgSQL into a database, execute the command "createlang plpgsql dbname"